Okay, let’s be honest – Instagram stresses us out, and a lot of that has to do with the unknown. 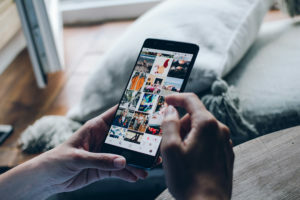 In March of 2016, Instagram officially switched from a chronological timeline to a feed based on an algorithm, which sorts and lists posts by how likely that user is to interact with each post. Long story short: the posts you care about most are at the top of your feed. This INSTAntly changed the way the app worked, for individuals and business alike. It’s not just about when you post, but how you post and how people react to that post. WOAH. Lucky for you, we’ve done our research. The new algorithm can be super confusing and frustrating, but we have a few tips we believe will help your business succeed on Instagram. When planning an Instagram post, the first thing you should consider is the target audience: your followers. What do they want to see? Which posts have they enjoyed the most in the past? Instagram Analytics is available (for free) to business accounts and offers invaluable insights about your followers, such as age, location, when your followers are most active, etc. Knowing your audience and keeping them happy is the best way to guarantee engagement and build loyalty, which can lead to a larger audience in time and increased brand awareness and engagement. Remember: only 10 percent of your followers see a post immediately after it’s posted. If the post performs well with those followers, it’s shown to the other 90 percent. Given this information, pleasing your audience is crucial. 2. Plan Your Posts – Be Smart! Now that you know your audience, it’s time to develop the content. Make sure your photos are high-quality. We know sometimes quick phone pictures are necessary, but clean and clear photos look much more professional and atheistically-pleasing, which is the key to Instagram. Next, on to the caption. This is a chance to get creative and really show your business’ personality. Write captions that encourage engagement! For example, ask questions that have to do with your post that make it fun for your followers to respond. Listen carefully to this next tip: hashtags are NOT the answer to all of your problems. Nothing is more annoying than scrolling through Instagram and seeing a post with a ton of pointless hashtags. If you choose to use them, switch them up for each post and be specific. Try to limit hashtags to five to 10 per post. Rumor has it that posts with more than 10 hashtags are bumped down on feeds by the mysterious algorithm. Make sure to tag relevant locations and other businesses, as well. One of the easiest ways to succeed on the algorithm is by building genuine relationships with your followers. In order to receive engagement, you have to give it. Start by liking and responding to comments on your posts and photos in which your business is tagged. Note the word “genuine.” Instagram is cracking down on what it considers to be real engagement, and the algorithm only rewards comments that are at least four words. Comments like “nice pic!” no longer fly. This process takes time, but your Instagram page will receive positive benefits. Not only does this build relationships with your audience, it will boost your posts on these followers’ feeds in the future. Now that you have these tips, try them out with your business’ page! The Instagram algorithm can be conquered with careful planning. If you found these tips helpful, start increasing your engagement by giving us a shout out on Instagram, @c21_pr. Still need help optimizing your Instagram content? Give us a call!